We know how important it is to have the right information in an easy to use format. When you book your holiday you will get a confirmation itinerary by email containing all the details you need to plan for your trip. 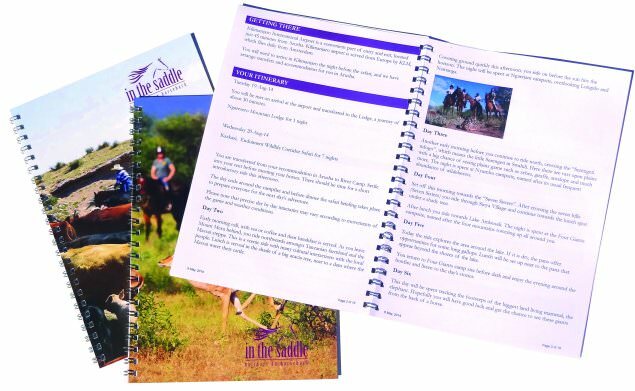 You will then receive a personalised Final Itinerary in the post approximately ten days prior to your holiday ensuring that you have all the information you need to take with you. information on getting there which airports, arrival and journey times, baggage information, where you will be met. health any specific health issues and innoculation requirements that we are aware of in the destination. But, we always recommend you check with a health professional, prior to travel.